Trehalose is a type of sugar that is used in cosmetics and personal care products as a moisturizer, skin protectant, and antioxidant. Trehalose, also known as ‘Resurrection Sugar,’ is a naturally occurring disaccharide that consists of two molecules of glucose. The word “trehalose” is derived from the Biblical term “trehala manna”, and from an alternative name for trehalose, “mycose”, referring to the mushroom source of this disaccharide. Many types of organisms have the ability to produce trehalose, ranging from bacteria, yeast, fungi, insects, invertebrates, and plants. By contrast, mammals cannot synthesize trehalose. After oral ingestion, trehalose is rapidly broken down into glucose by the enzyme trehalase, which is present in the intestine of both herbivores and omnivores (including humans). It causes less of a spike in blood sugar than glucose. An interesting property of trehalose is that it can help plants and insects to withstand and ‘resurrect’ from extreme conditions. This is possible because trehalose exhibits a unique moisture stabilization process resembling freeze-drying. At the molecular level, trehalose has been reported to have a cytoprotective effect on cells subjected to various stressors, including oxidative damage, dehydration, and temperature change. Mitochondria frozen with trehalose have been shown to retain most of their biological properties, such as membrane integrity and ATP synthesis. 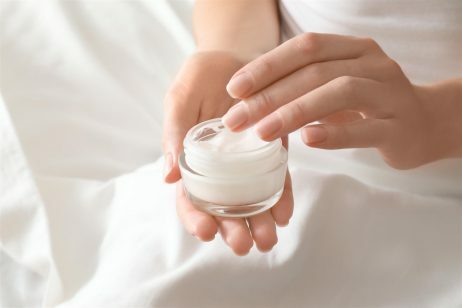 In cosmetics and personal care products, trehalose functions as a moisturizer, skin protectant, and antioxidant. Trehalose works to moisturize the skin because it reflects the composition of Natural Moisturizing Factor (NMF) found within the skin’s epidermis. The NMF is an expansive group of substances including amino acids, PCA, lactates, sugars, salts, urea, and peptides. All of these substances work together to keep the skin’s surface intact, supple, and hydrated. As we age, the NMF can become depleted. Routine exposure to sensitizing ingredients like drying cleansing agents and denatured alcohol can also deplete the NMF. The result is visibly dry, tight-feeling, flaky skin. As a disaccharide, trehalose mimics the sugars found in NMF, effectively drawing in moisture to maintain skin hydration. In addition to moisturizing the skin, trehalose can also protect important cellular components. It can form special structures above the cell membrane that can protect molecular structures from being damaged or destroyed. When trehalose comes in contact with water, it creates a more crystalline formation with neighboring water molecules than that created between water molecules and similar disaccharides. Furthermore, it modifies the structural and dynamic properties of water, forming a unique entity with water molecules which makes it better able to protect biological structures. The natural protective functions of trehalose help to prevent skin and hair damage caused by exposure to harsh environmental factors, such as UV radiation, pollution, smoke, irritants, etc. Additionally, trehalose has been shown to protect fibroblasts (cells in connective tissue that produce collagen) from dehydration. These properties make trehalose an ideal ingredient to include in formulations for sensitive skin since excessive exposure to skin-damaging environmental factors (i.e., sun, wind, extreme temperatures, etc.) is a major cause of sensitive skin. Lastly, trehalose functions as an antioxidant, though its underlying molecular mechanisms remain unclear. In general, antioxidants work by neutralizing free radicals. A free radical is any atom or molecule that has a single unpaired electron in the atomic orbital. Normally, an atomic orbital is capable of holding two electrons, but free radicals only have one unpaired electron, which makes the free radical unstable and highly reactive. By donating electrons to free radicals, antioxidants are able to limit oxidative damage caused by free radicals. This is important because oxidative damage is one cause of premature skin aging. 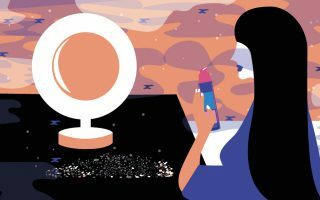 Trehalose is considered a low hazard ingredient by the Cosmetics Database, which classifies it as “not expected to be potentially toxic or harmful.” No studies were found that listed any negative side effects caused by this ingredient. On a scale from 1 to 10, with 1 being the lowest risk to health and 10 being the highest, trehalose is ranked as a 1. References: Wikipedia, “Trehalose”, Sci Rep. 2016; 6: 28423, Amitech, Inc. “Trealix”, 2006, WebMD, “20 Common Questions About Sensitive Skin”, Redox Biol. 2018 May;15:115-124, Wikipedia, “Antioxidant”, EWG’s Skin Deep Cosmetic Database, “Trehalose”.